After an uneventful 9 hour bus ride from Madrid I made my way over to Lisbon, Portugal. Everything was bright. Everything was booming. Everything was beautiful. I stayed at the Golden Tram Hostel (perfection), and from there went on the best free walking tour with John Doe Tours (Hi Alex!). Bombino, my favorite nomadic guitar player, was performing for free that night two squares away as part of the Festas de Lisboa ’14, a more than serendipitous discovery. 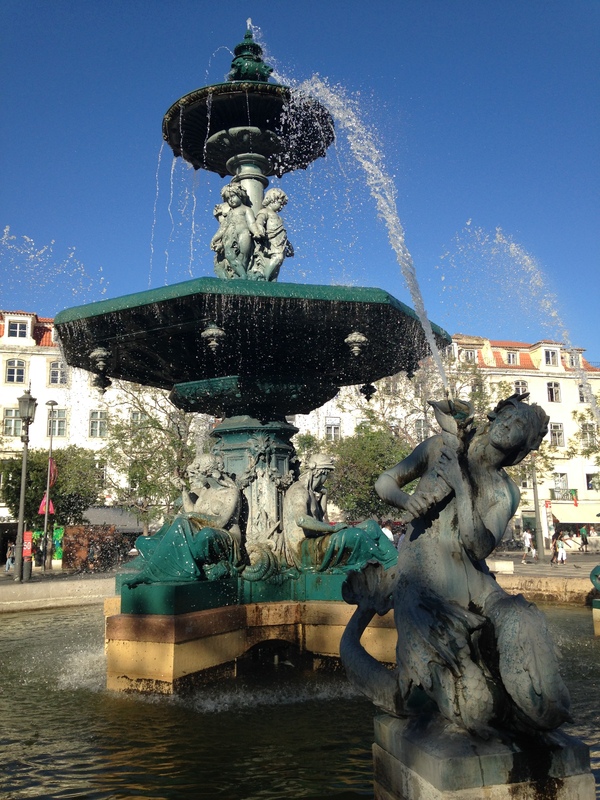 With the day to myself I toured the town on foot and practiced my deficient Portuguese. 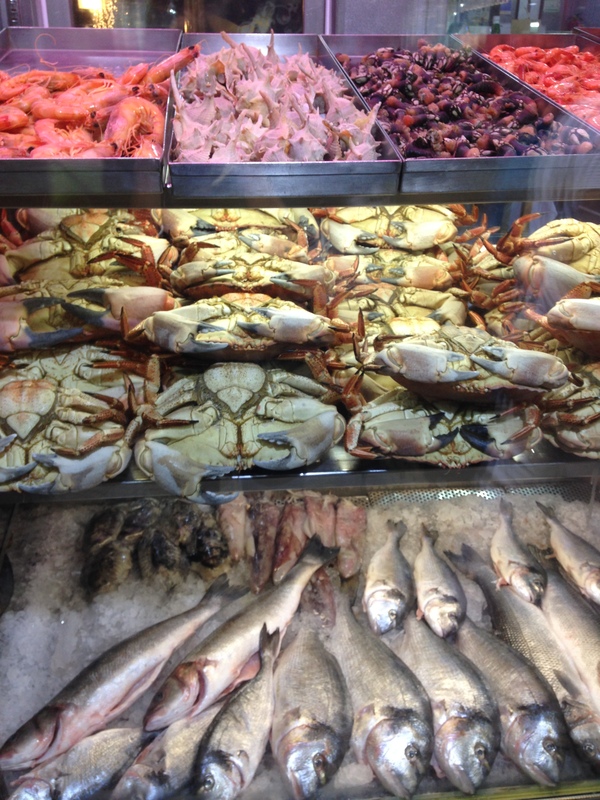 Lisbon was much cheaper and smaller than Madrid – which I particularly enjoyed. 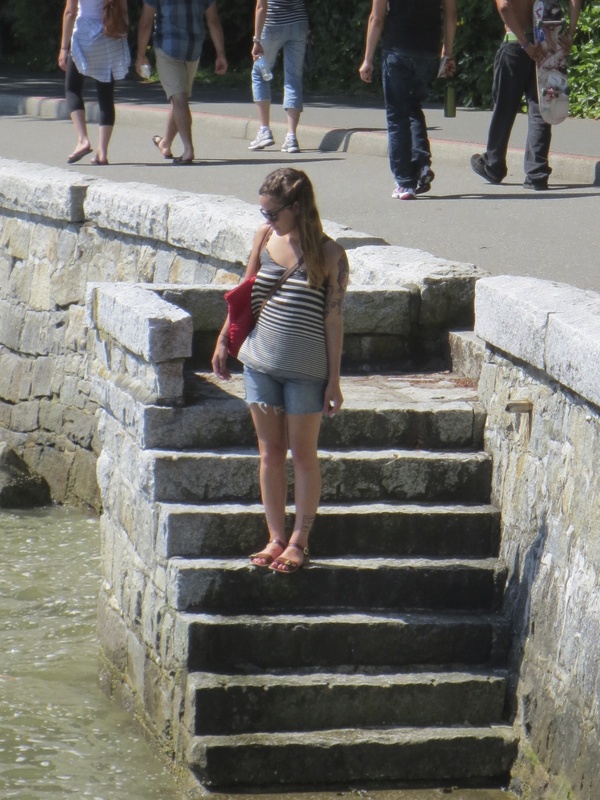 The street art was wild, the fountains abundant and the architecture mesmerizing. 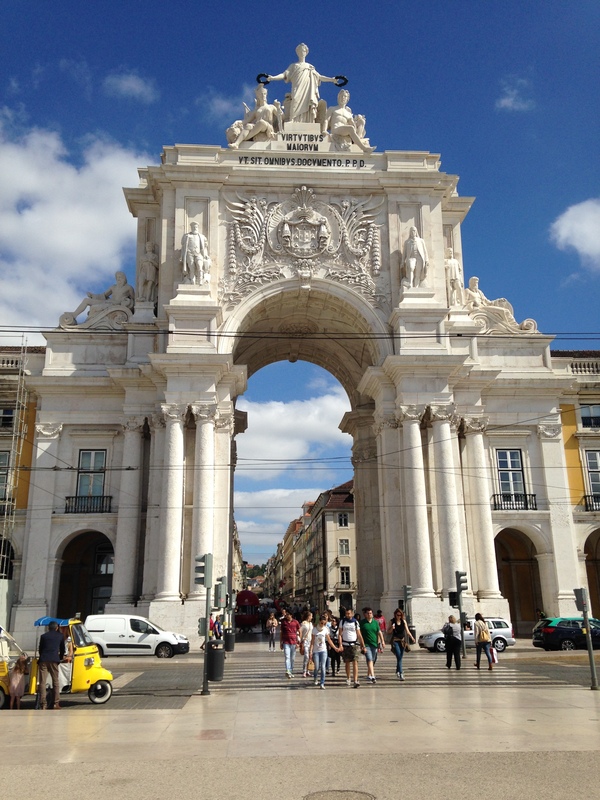 The photo above is of the Rua Augusta Arch in downtown Lisbon. The figures at the top symbolize “Glory rewarding Genius and Valor” with the Portuguese coat of arms directly below. 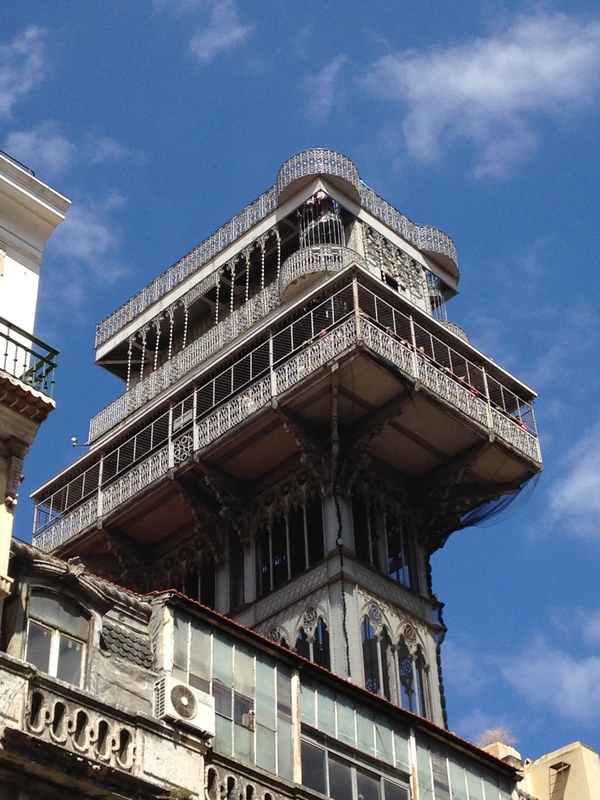 This monument was constructed to commemorate the reconstruction of Lisbon after the 1755 earthquake. 1. 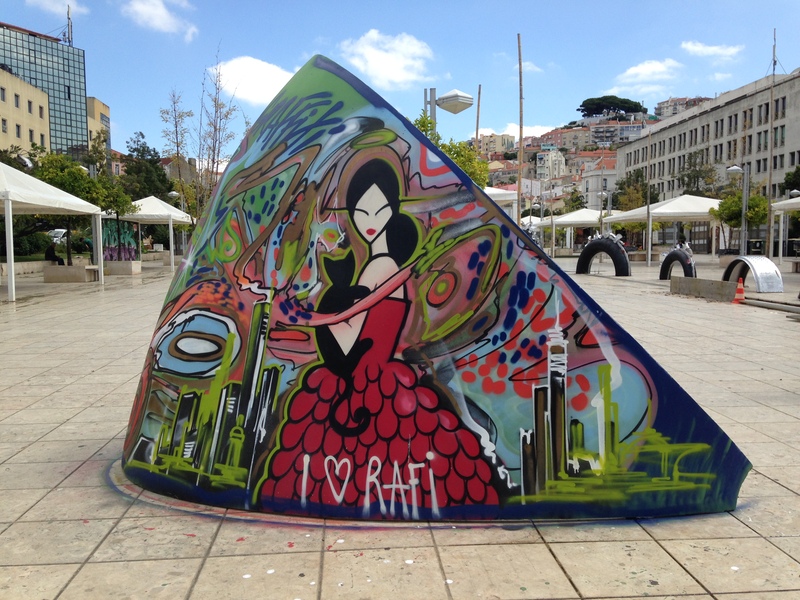 Martim Moniz Square: Lisbon’s multicultural outdoor headquarters, host to many cultural festivals, amazing alternative artwork, delicious drinks, live music and tasty food. 4. 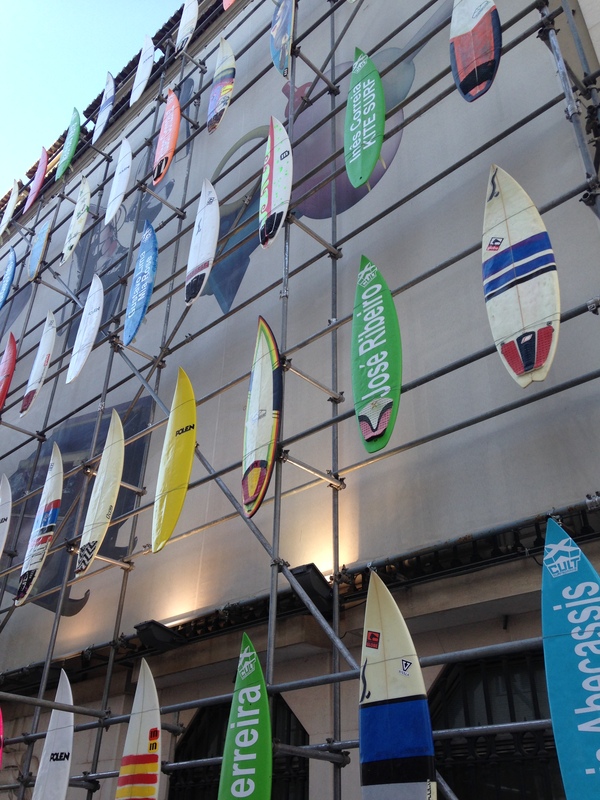 Surfboard Street Art at the Museo do Design. 5. 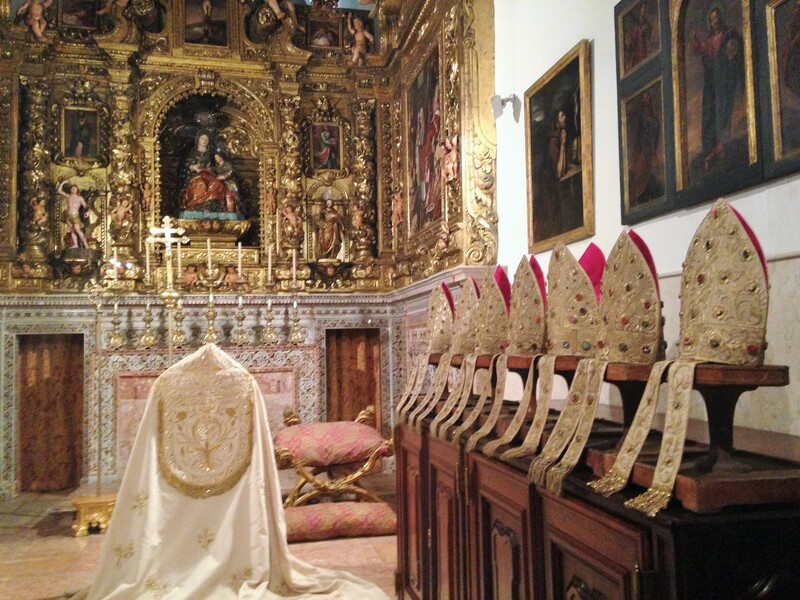 Inside the Lisbon Cathedral. 6. Fountain in Don Pedro IV square. 7. 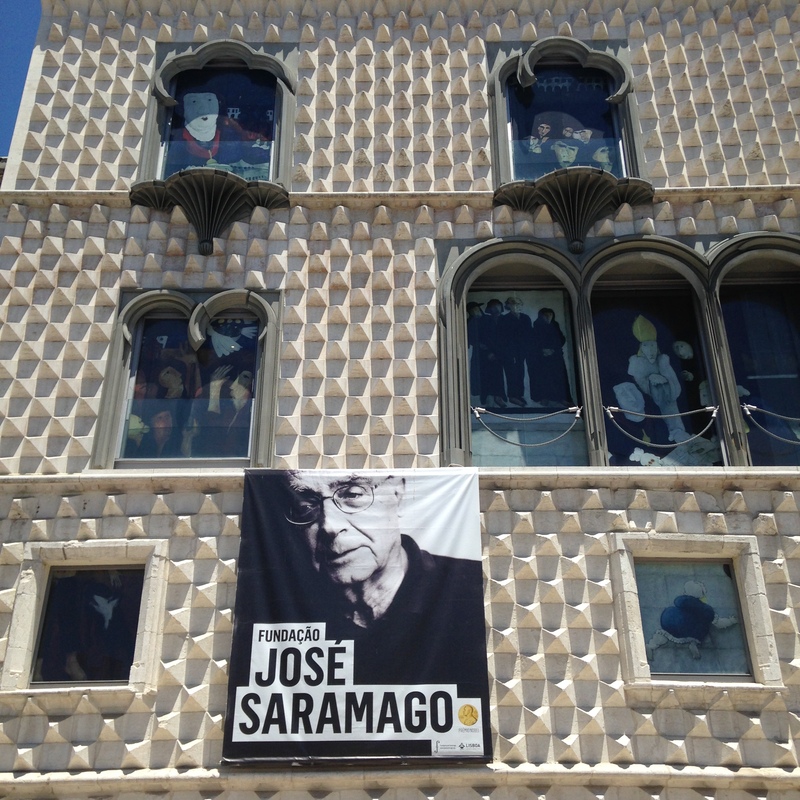 “House of Spikes” – José Saramago Foundation. 8. “But it did not rise to the stars, for it belonged to the earth” – Jose Saramago. 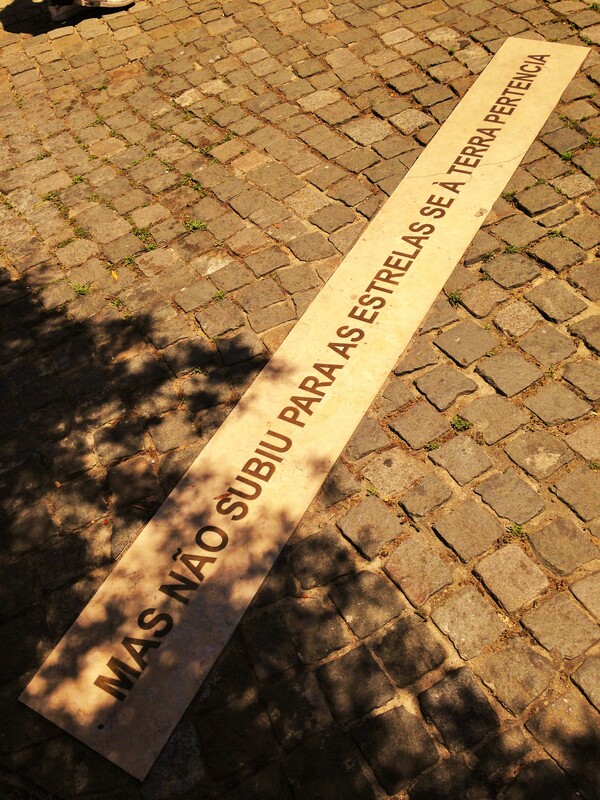 Saramago is buried beneath the oak tree that sits next to this quote. 10. Lisbon city street. 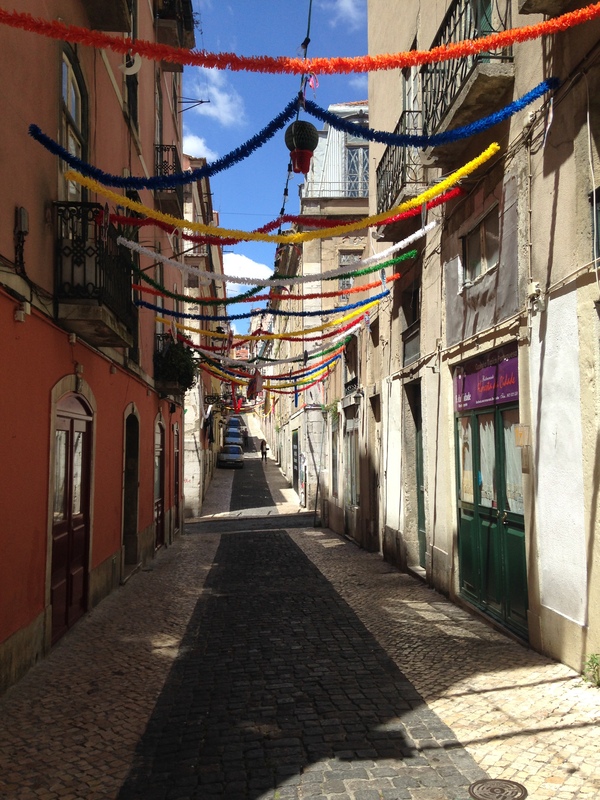 June was a month full of saintly celebrations so all of the streets were decorated. 11. 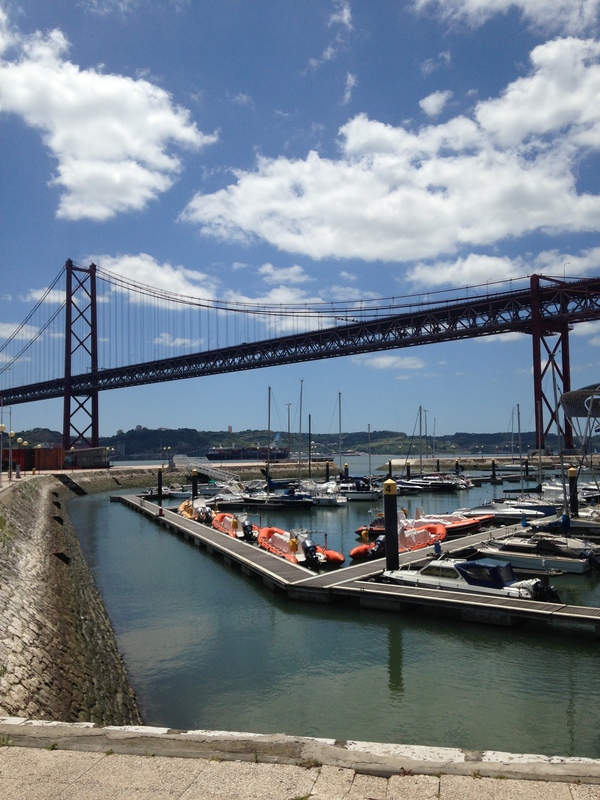 Lisbon’s take on the Golden Gate Bridge:) They also have a Christ the Redeemer statue as well! 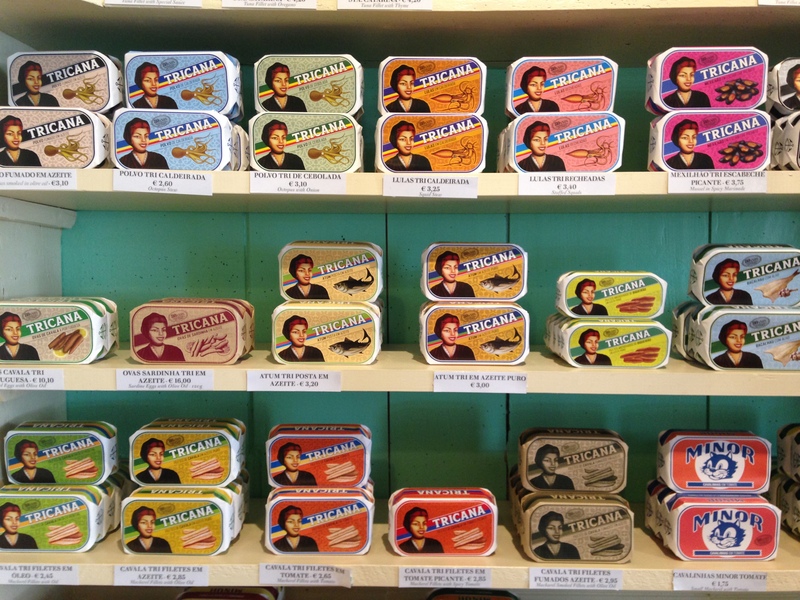 Reblogged this on Play Lisbon. Awesome!! I hope your love for this beautiful city endures for many years.